The Halcyon in Cherry Creek is a hotel as welcoming as the city. Set amongst the shops of Denver’s chic shopping enclave, the hotel was designed to make guests feel like they’re staying at a friend’s house… and a well-heeled friend at that. It’s the sort of low-key luxe we really enjoy, with effortless hospitality permeating every detail. The conviviality begins the moment you check in: The reception desk doubles as a complimentary coffee bar. They use beans from Intelligentsia to make a damn fine cup of coffee. If you arrive in the evening, as we did, the front desk offers cocktails or a beer to help you relax as you shake off the trail dust. 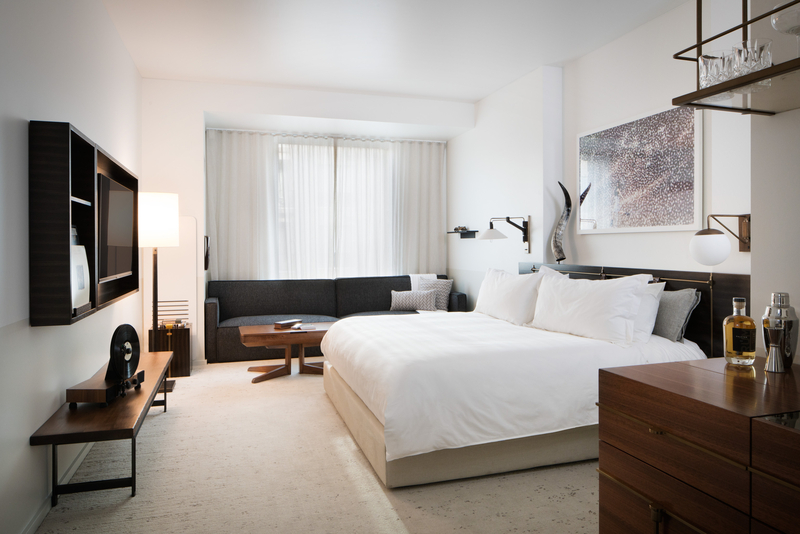 The rooms, which start at $225 a night, are well-appointed and urban chic, with brass fixtures in the shower, substantial barware, and the cool-as-hell floating Gramovox record player. 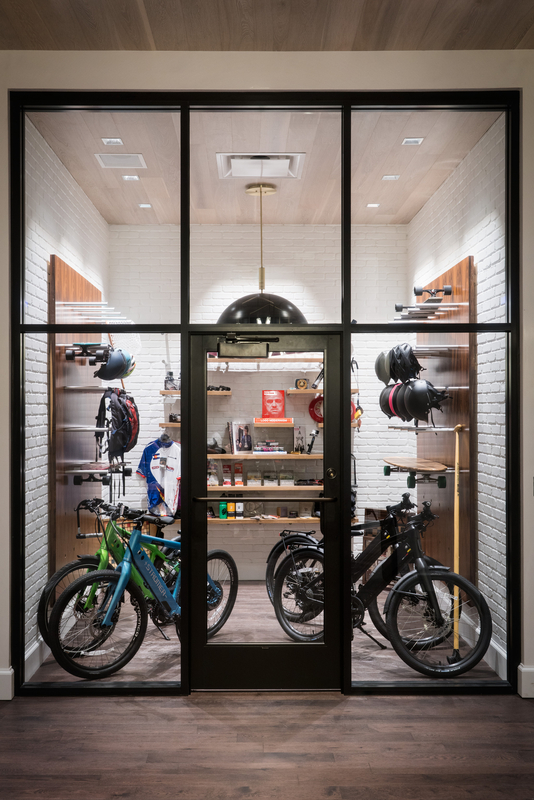 Best part: The Halcyon also offers guest access to their high-end “Gear Garage.” Those staying at the hotel can borrow a Vespa scooter, Leica or GoPro cameras, long boards, or a bike for a Mile-High City adventure. The Gear Garage also features a vinyl library so you can make the most of that record player in your room (we were bummed to discover someone had already checked out Speaking in Tongues). Only a quick drive downtown or to any of the Denver’s breweries, the Halcyon is a great base for exploring the city. But for those keen on staying in, there are two restaurants on the property: Departure Restaurant + Lounge (Asian-inspired food) and Quality Italian. 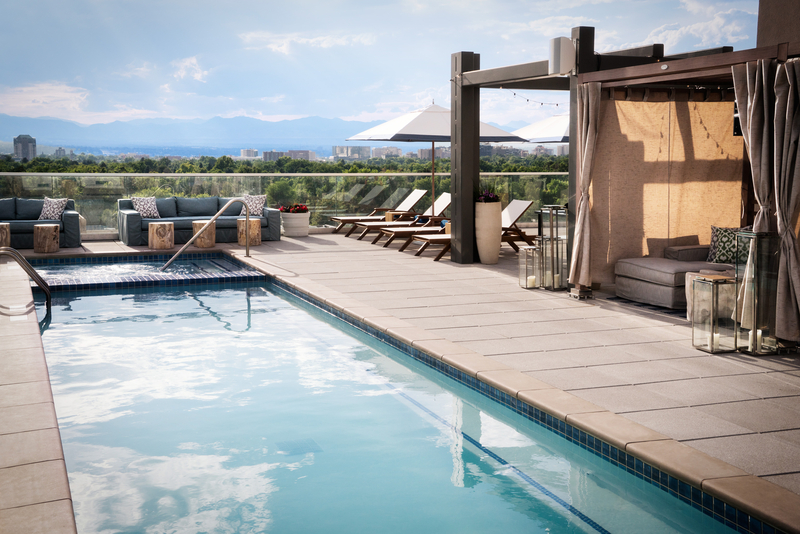 There’s also a rooftop pool and bar perfect for taking in a near 360-degree view of Denver’s famous blue skies. The designers may have wanted guests to feel like they were staying with friends, but sadly none of ours roll quite like this. It might be time to make some new friends.